Let’s face it. Running a successful trucking business is difficult, even when the economy is doing well. It involves a number of responsibilities outside of driving a truck and picking the best routes. You need to understand tax regulations, commercial truck licensing, and other compliance-related issues. On top of that, you have to market your business, get new customers, and stay on top of your finances. And if you employ support staff, dispatchers, and other truckers, you will have even more tasks to juggle. So, what can you do to make a successful trucking business? This Balboa Capital blog post has five real-world strategies for you to consider. The driving force of the United States. Before we get to the growth strategies, we want to give you a top-level overview of the $750 billion trucking industry, the numbers of which are quite impressive. There are more than 1.4 million trucking companies in the United States that employ approximately 7.5 million people. It is worth nothing that 9 in 10 trucking companies operate fewer than 7 trucks. Over 80% of all cargo in our country is transported by trucks. 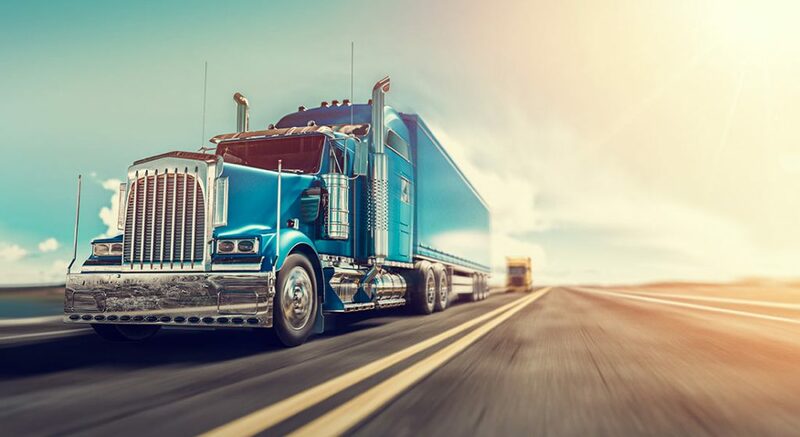 The most common types of goods that are transported via trucks are machinery equipment, technology/electronics, automobiles, gasoline, and mixed freight. 1. Monitor your business expenses. Your trucking business will incur two types of expenses, initial (non-recurring) and continuous (operating). Monitoring your expenses can help prevent potential cash flow problems that coincide with slow months. Having enough working capital on hand will help you pay for fuel, maintenance costs, and meals, to name a few. It will also enable you to make payroll in a given pay period if your business has employees. Additionally, you must consider the cost of acquiring business equipment. Whether you work from home, or at an office, you will need things like office furniture, computers, phones, Internet service, accounting software, and printers. Be frugal with your spending so you will never end up in the unfortunate position of not having enough cash to keep your business moving forward. 2. Get the best truck. Your truck is by far the most important part of your trucking business. Having a reliable, high-quality truck that can handle loads in all types of weather conditions is an absolute must. The last thing you want is to operate a truck that is limited as to what it can carry, or that is prone to engine problems. A truck will be the most expensive thing you purchase, and the costs will increase dramatically if you require a fleet. So, evaluate your financial situation to decide whether you want to buy or lease a truck. Many owner-operators and trucking companies prefer leasing because it doesn’t deplete their capital, and only requires a predictable monthly payment over a specific term length. 3. Control your fuel costs. Filling up your truck’s fuel tank can slowly empty your profits. But it doesn’t have to. There are several proven things that you and your other drivers can do to save money on fuel. First, you can install governors into your rigs to prevent exceeding a particular speed limit. As you know, speeding uses up fuel faster than driving at a normal speed limit. Second, have your truck checked regularly to ensure that everything is in working order, and that it is compliant with the Federal Motor Carrier Safety Administration. When your truck’s engine, brakes, and tires are in good working order, less fuel will be consumed. Lastly, make a habit of reducing your idle time. Excessive idling can cause carbon build-up and affect your engine’s performance. 4. Market your trucking company. Spreading the word about your trucking business takes a great deal of time and effort. It should be part of your overall business plan or marketing strategy. One way to look for new prospects is by perusing the load boards and freight brokers online. These options present you with a quick way to identify new opportunities. Another approach is to make cold calls to develop a customer list. This is both difficult and time-consuming, but it can help you land some of your most profitable customers. Providing your customers with excellent service can result in repeat business and referrals. 5. Hire the best truckers. If you need to hire truck drivers for your business, look for those who are licensed and experienced. The best truckers are critical to your success, and are an extension of your company’s brand. Job sites and social networks like LinkedIn and Glassdoor can be used to promote your job openings. You can also work with a staffing company or truck driver recruiting agency to help find reliable truck drivers who meet your qualifications. Don’t rush to hire, either. Take the time to evaluate your best candidates so you end up hiring the most qualified one for the job.